WHAT DOES THE MERMAID SWIM IN? Our mermaids swim in high grade fabric tails which include a scuba monofin inside (pictured above) for safety and maneuverability purposes. Tops include realistic purple clam shells and red wigs. Our mermaids are trained to swim and completely submerge in the water, however if children are very small or inexperienced swimmers, she is happy to entertain in the shallow area. $225 for 1 hour (Mermaid arrives 15 minutes early for setup, you will still receive a full hour of entertainment). Travel fees may apply if the party is outside of East Baton Rouge Parish. Travel will be quoted at the time of booking. An assistant usually accompanies the mermaid to swim parties. You cannot book online, because I would like to discuss your specific party needs and expectations before approving the request. Please call 225-347-1981 to do so. Once we have talked and your date is approved, I will email you an invoice. A $50 non-refundable deposit must be paid within 48 hours to hold your slot. We invoice to your email via Square. The week prior to the party you will receive in invoice for the remaining balance, which is due the day before the party. Preferably at your home pool or another private residence. Pool parties only. We can discuss the possibility of having it in a public pool, however, these don’t usually work out as well because other kids tend to “crash” the party and want attention from the mermaid. While we attempt to focus on the party guests, we will not turn away any child that approaches us. If you cancel your booking, you will not get your deposit back, however it can be applied towards another party within the year of your booking date. WHAT IF THE MERMAID CANCELS? We make every attempt to honor your birthday party booking. However, on occasion things happen such as extreme illness, acts of God, etc and I may be forced to cancel. In this case you will be refunded your full amount. Please understand that due to safety reasons we will cancel if there is inclement weather during the time of the party. 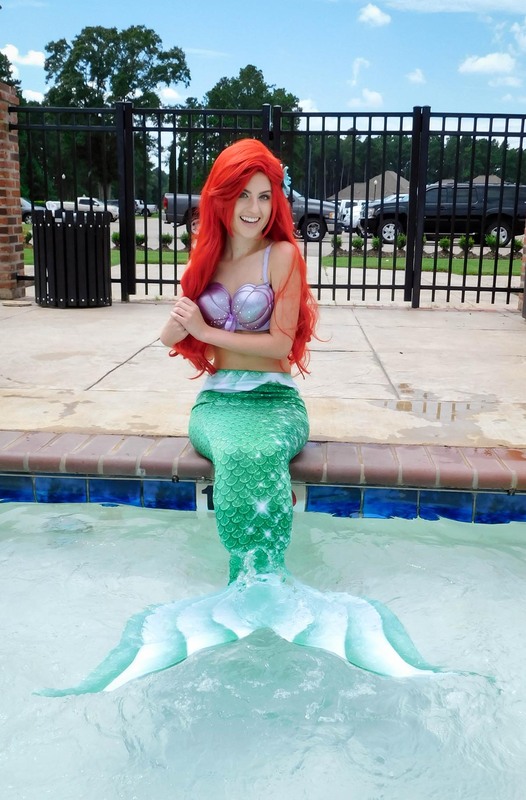 Your mermaid is being contracted to provide fun party entertainment for your child. We are not certified lifeguards and are not responsible for the safety or supervision of the children in the pool. This cannot stressed enough. All children must be supervised by adults. We now provide a “Pool Parent” placard upon arrival. The holder of this badge must be present and supervising the pool party. This ensures at least one adult is “on duty” to ensure the safety of the swimmers. Life vests and floaties encouraged for small/weak swimmers. Children are welcomed to swim along with the mermaid and closely interact with her. However, for safety reasons, please encourage children not to hang on the mermaid or attempt to “ride” on her back. This can cause a drowning hazard. Children are naturally very curious about my tail/costume. They are welcome to touch the fin and ask questions. We love their curiosity! However children that are purposely and unnecessarily destructive (pulling, stomping. etc) will be asked to exit the pool. We will plan to arrive at your party location 15 minutes before the start of the party to get into costume and enter the pool. At this time all children should be kept from the pool area to protect the “magic” of the mermaid visit. Usually when children begin to get tired of the swim portion of the party, parents will move on to cake and presents in a different location from the pool. This is when the mermaid will make her exit. The mermaid prefers to leave the party before the children can see her again in “human” form to preserve the integrity of the character experience! 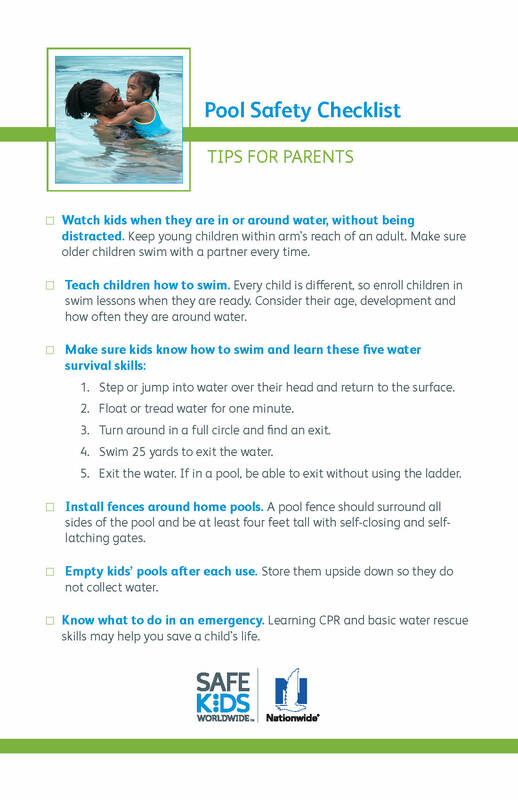 Pool Safety is SO IMPORTANT! Please read the helpful tips below in preparation of your pool event.